This is can be done in Catalog > Products > Edit Product > Inventory or through importing the data using the import tool in Tools > Data Import > Product. Once there, edit the product status to show quantities. Note: If you have a product status that should not display the quantity on hand, leave the show quantity box unchecked. 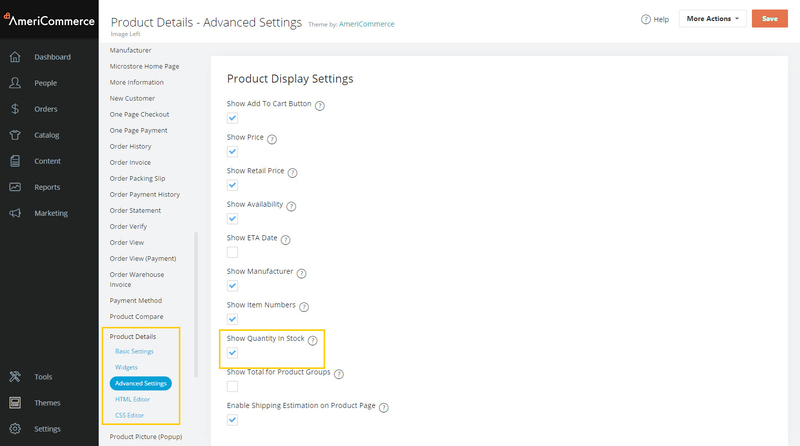 The quantity in stock should now be displayed on the product details page. Note: If you are using custom page design for the product details page you would need to add the merge code $$STOCKQUANTITY$$ to the page to display the On Hand Quantity.